We offer coverage throughout West Michigan! Let our professional virtual tour photographers manage your digital marketing and virtual tour needs. RTV understands that building virtual tours, achieving maximum exposure, and online digital marketing does take real time and is not for everyone. That’s why we have built up the largest virtual tour provider network in the World and have a representative right there in West Michigan to help you out. We guarantee full coverage in your area and you can find detailed information about your virtual tour provider below. If you prefer to shoot your own virtual tours there in West Michigan, you can also contact your virtual tour provider below and they can tell you about that option as well. Frees Frame is locally owned West Michigan virtual tour company, providing a wide range of services to meet all your property marketing needs in West Michigan. We travel for large jobs anywhere in the United States but mostly focus on the West Michigan area. We are part of a large Network of Virtual Tour Providers worldwide. No matter where your job is, we can get it done! Frees Frame, established in 2007, provides real estate companies and professionals, as well as other commercial businesses, the highest quality virtual tour solutions available. Frees Frame exceeds competitors in photographic quality and clarity, technological enhancements and most importantly, unsurpassed personalized service. Our goal is simple: Provide creative marketing solutions showcasing residential and commercial properties in a polished and unique way, keeping the process uncomplicated and cost effective for our West Michigan clients. 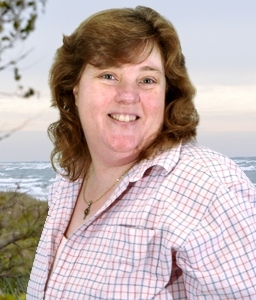 Frees Frame staff has expertise in digital photography, web design and development, real estate marketing and more. We can handle anything you throw at us! We take pride in our cutting edge technology, personalized service and wide-range of product offerings to ensure your online endeavors are a success! We’re a Michigan company and are proud to use virtual tour software developed by a Michigan company, Real Tour Vision in Traverse City. Together we use cutting edge technology to produce razor sharp images with the highest caliber customer service. All MADE IN MICHIGAN! 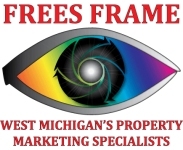 Frees Frame is Your West Michigan Property Marketing Specialists!